Zoho Calendar allows you schedule, manage and track your meetings and events. Groups and teams can easily share their planned activities so everyone is on the same page, and with Zoho Calendar's powerful sharing controls, you can share only what you want to. In addition, Zoho Calendar also gives you an unified view across many Zoho Apps, from Zoho CRM appointments to Zoho Projects deadlines. The Mac calendar you'll actually enjoy using. Fantastical's natural language engine is expressive and intelligent so you can write in your own style. Even better, Fantastical automatically recognizes the location of your event and can even invite people from Contacts (Mavericks and Mountain Lion) or Address Book (Lion and Snow Leopard) to your event. CalenGoo gives you a fast and easy way to access and change your Google Calendar (or Google Apps Calendar) with your iPhone, iPod Touch or iPad. It even works when you have no internet connection. Changes are saved and uploaded the next time you are connected. 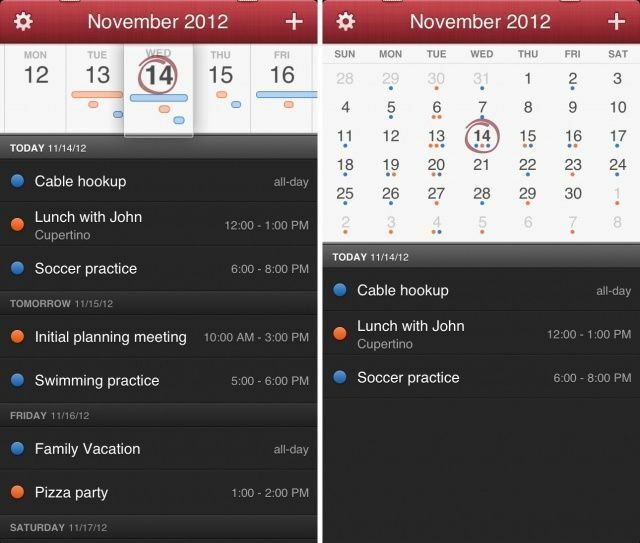 Calendars 5 seamlessly syncs with local iOS calendars, Reminders and even Google Calendar. Now all your events and tasks are in a single application, which is always on hand. To create an event just type it in plain English "Meet John at Starbucks on Sunday". The app will recognize and fill out the event fields for you. 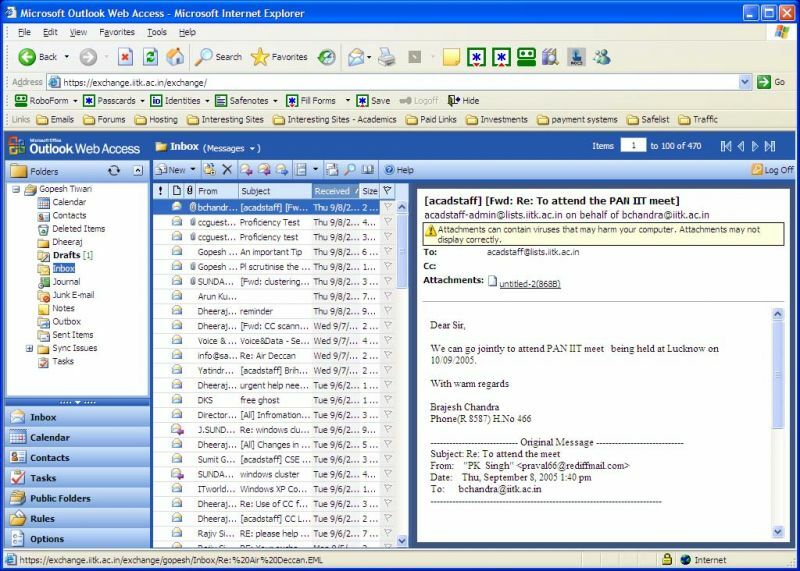 Easy to use task manager, that has everything you need to organize, track and complete your to-dos. The app syncs with iOS Reminders, so you can create and update your task list in seconds. 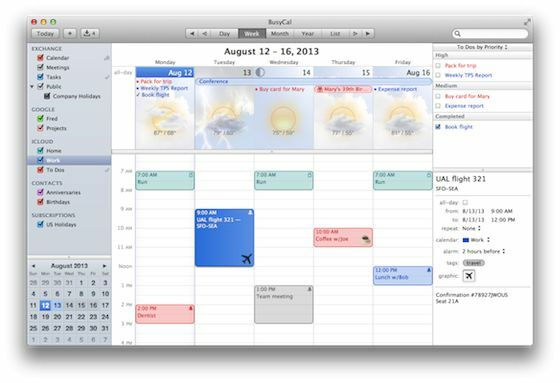 BusyCal is an alternative to the built-in Calendar app on OS X that provides powerful time-saving features in a friendly, easy-to-use package. 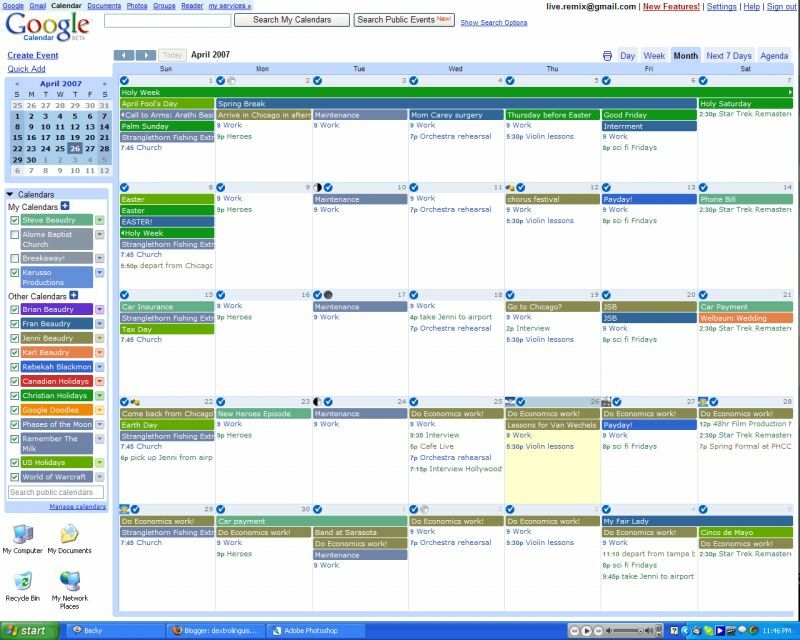 BusyCal's unique features include customizable calendar views, scrolling Month and Week views, an integrated Info Panel for quickly viewing and editing events, integrated To Dos that display in the calendar and carry-forward until completed, custom font sizes and styles, graphics, live weather feeds and moon phases, and a menu bar app for quick access to the current day's events and weather. One of the best features of the new Gmail is its quick-access side panel with easy access to Google Calendar, Tasks, Keep and your Gmail extensions. 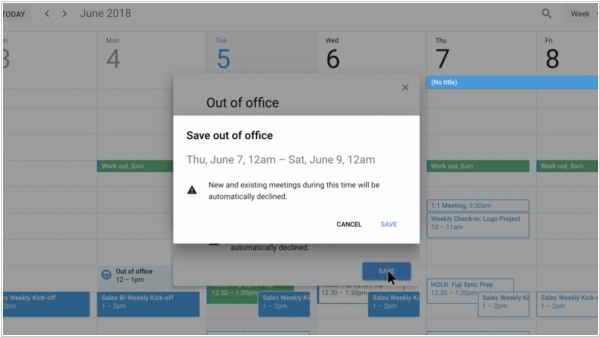 Now, Google is bringing this same functionality to Google Calendar, Docs, Sheets, Slides and Drawings, too. In Google Calendar, you’ll be able to quickly access Keep and Tasks, while in the rest of the G Suite apps, you’ll get easy access to Calendar, Keep and Tasks. Paying G Suite subscribers on the rapid release schedule should get access now, with those on the slower release schedule getting access in two weeks. Google Calendar gets a new “Out of Office” feature along with setting customizable working hours. The working hours signal to others when you’re unavailable, and allows Google Calendar to automatically decline meetings on your behalf outside those hours. For starters, you’ll find there’s a new “Out of Office” calendar entry type you can select when you’re creating an event via Google Calendar on the web. For example, if you’re scheduling the dates of your vacation, you could mark that event as “Out of Office.” If others send you meeting invites during this period, Google Calendar will decline them without your involvement. Google Calendar gets a new useful feature. When you change or delete an event, a dialog box now pops up that allows you to attach a short message to the event to explain why you are making the change and what’s changing. On the event page in Google Calendar itself — and in the email that alerts your guests of the change — that message will then appear at the top of the event details section. The new dialog box appears automatically, so far more people will now explain their changes than before. This new feature is now rolling out to all G Suite users and should be available to everybody (no matter whether their admins have them on the rapid release or schedule release schedule) within the next three days. 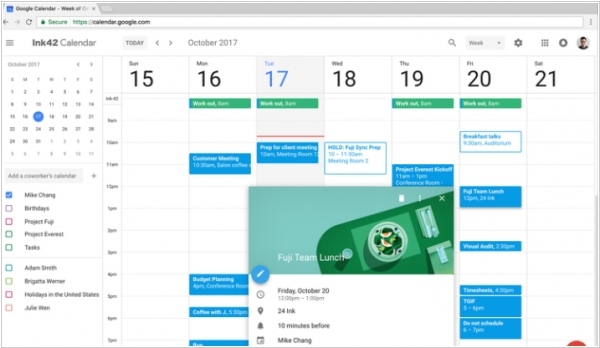 Google rolled out new updates for the web version of Google Calendar, finally giving PC users the sleek layout and intuitive controls offered on the mobile app version of the G Suite tool. 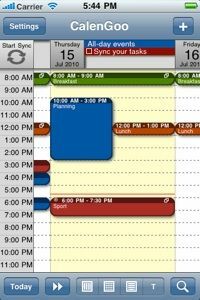 The redesigned calendar layout will automatically adjusts to better fit the size of your screen. 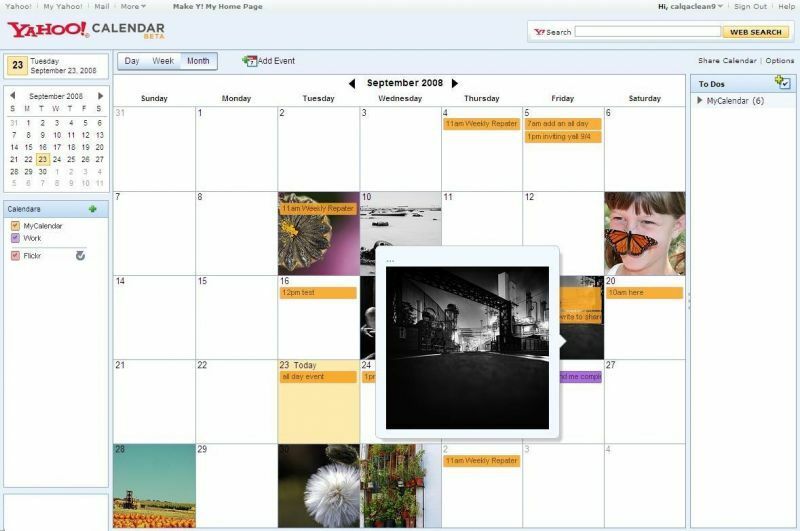 Most of the other features coming with the web redesign will be helpful for people using Calendar within wider organizations. 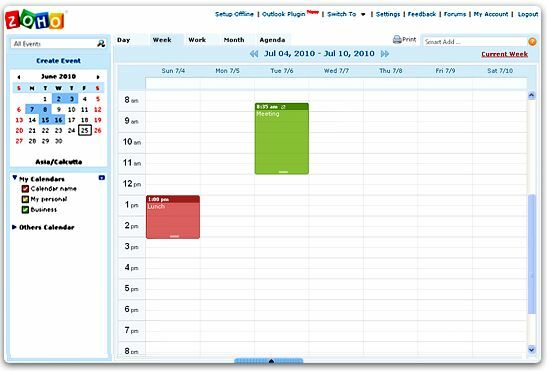 The handiest of these will now allow you to check out multiple users' calendars side by side for a given day, in order to see how everyone's schedule lines up. 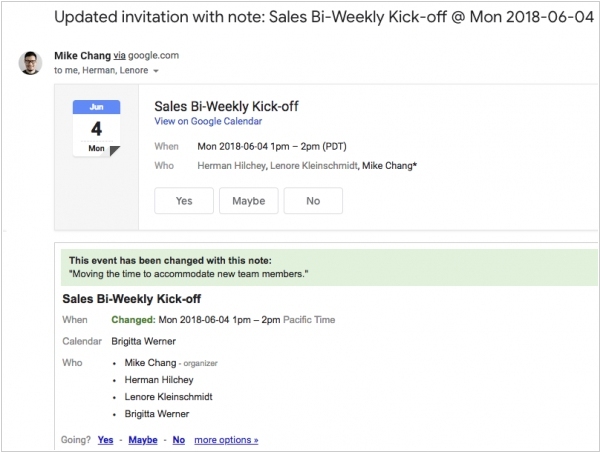 Calendar Invites now allow to add formatting and hyperlinks directly into the description field, and G Suite administrators will be able to include more details about conference rooms within an organization. For companies that use both Google’s G Suite and it's Microsoft alternative - Exchange in parallel, the new Google Calendar update arrived. G Suite admins can now allow their users to see real-time free/busy information across the two systems. 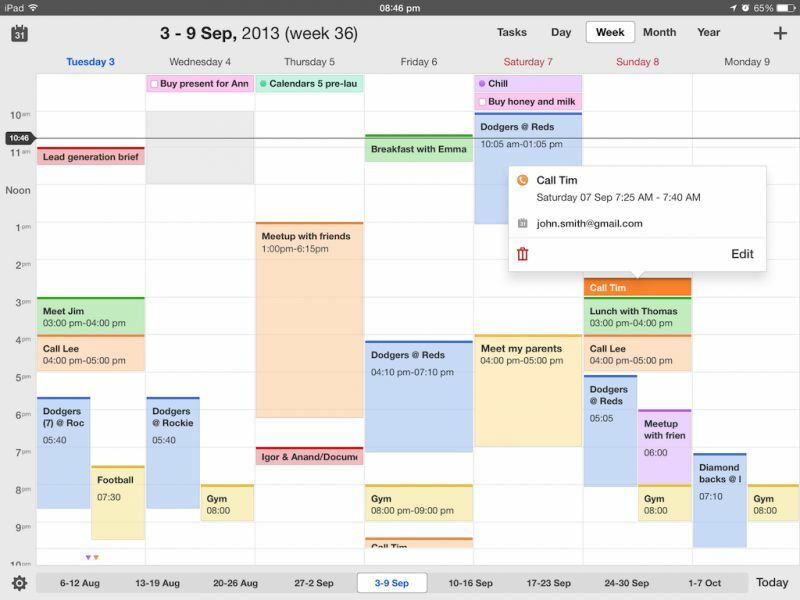 This means tools like Google Calendar’s Find a Time feature and Outlook’s Scheduling Assistant can now easily talk to each other, for example. 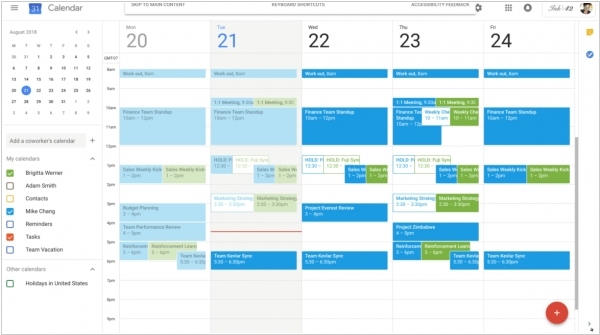 Once an admin has enabled them, these new Calendar Interop features will be available on Google Calendar for Android, iOS and the web, as well as all Outlook 2010+ clients on desktop, mobile and web.